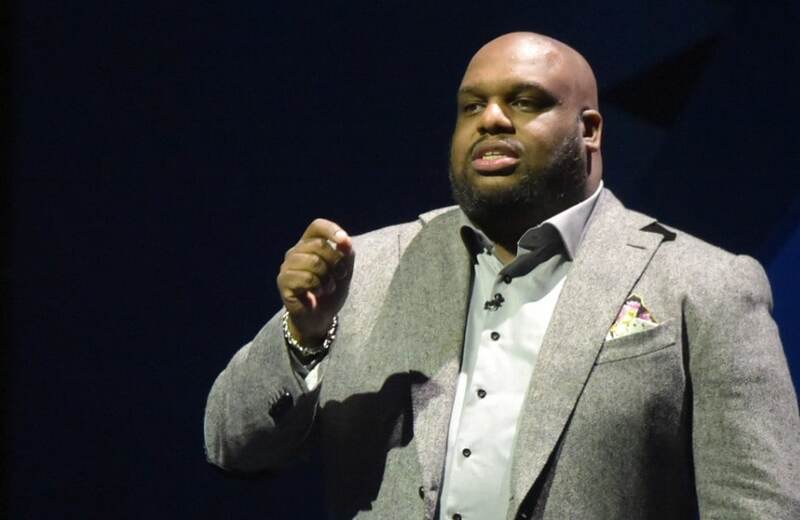 Pastor John Gray addressed longstanding rumors on the syndicated talk show The Real, admitting to having an emotional affair but said it never turned sexual. Gray, who leads Relentless Church in Greenville, S.C., and his wife, Aventer, joined the ladies on The Real on Tuesday, to address cheating allegations as well as the $200K Lamborghini gift that the pastor brought Aventer to celebrate their eighth wedding anniversary – a present that caused a stir on social media. Gray said he has heard the rumors — about a sexual affair that resulted in a baby — and wanted to let everyone know those rumors are false. But he made clear he won’t own up to something he didn’t do. “I will not take responsibility for that which I did not do. As a pastor, it’s important for people to know that when I get up in that pulpit, I come not as a perfect man, but as a broken man, which is why we talked about these very things at the first sermon of our church. People act like this is something, you know, brand new, but we’ve walked through this, we have peace. But people don’t,” Gray shared on The Real. Gray and his wife also addressed the Lamborghini controversy. Apparently, he says someone (but neither of them) snapped a photo and posted it to social media — where a lot of people accused them of flaunting their wealth and using church funds to pay for the vehicle. Not so, Gray said. He said he simply wanted an extra special gift to commemorate their eighth year of marriage and denied any church money was used for the vehicle.